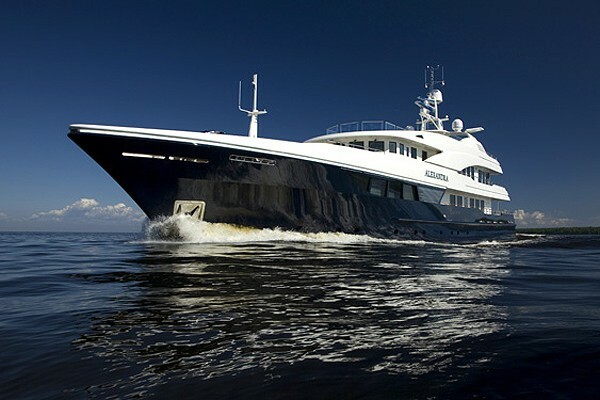 Motor yacht AMADEUS (EX BELUGA) is a striking Timmerman 47 vessel, with naval architecture by Vripack Yachting International and launched in 2014 by the Russian shipyard Timmerman Yachts. 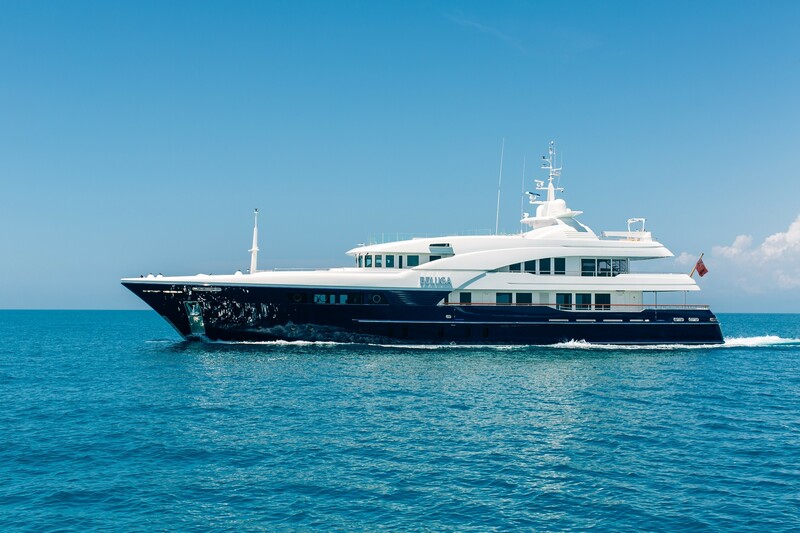 At 44 metres, AMADEUS superyacht provides up to 10 charter guests with plenty of exterior and interior spaces, for entertainment and relaxation. 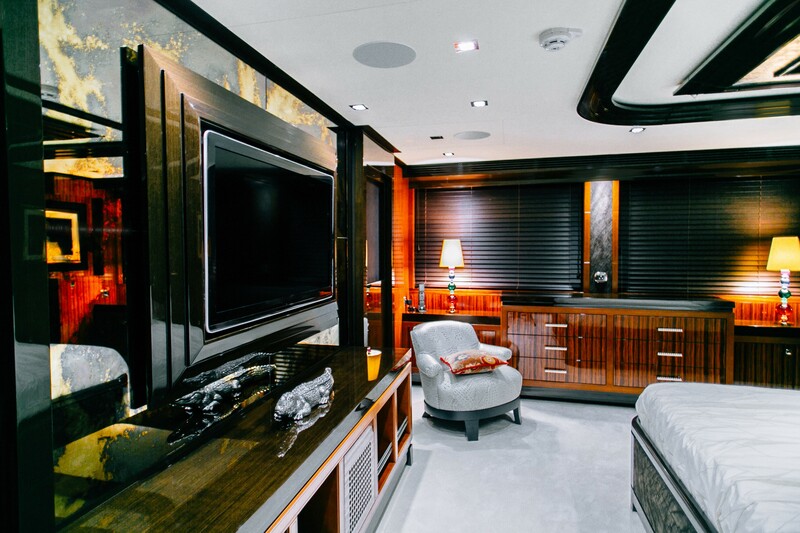 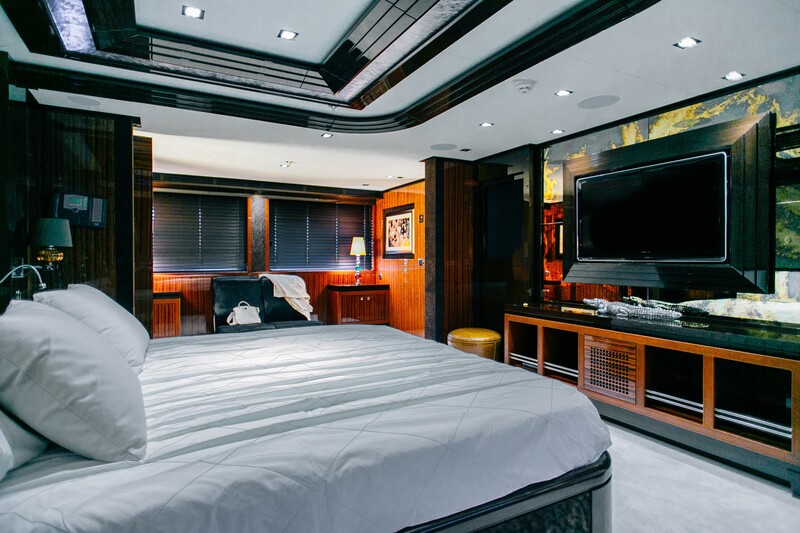 Beluga's ultra-luxurious Gentlemen-style interior is extremely inviting, providing all the necessities that one can think of. 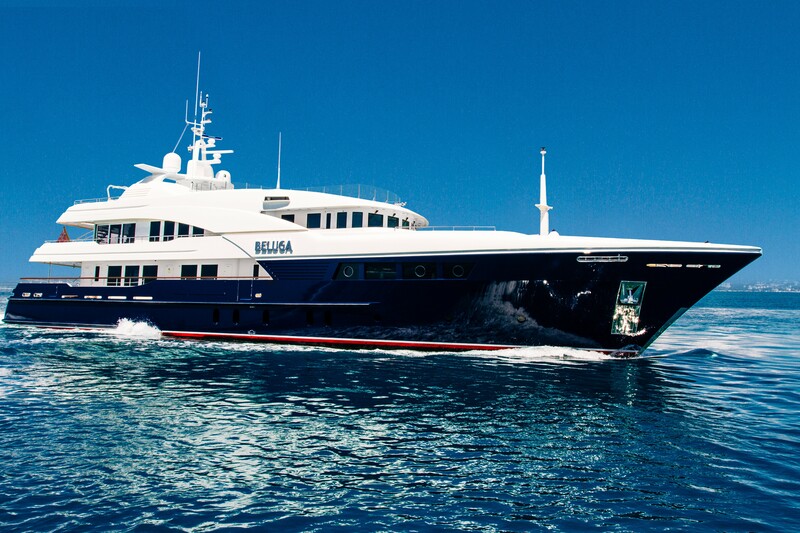 She has been designed and created with great attention to detail and exceptional style. 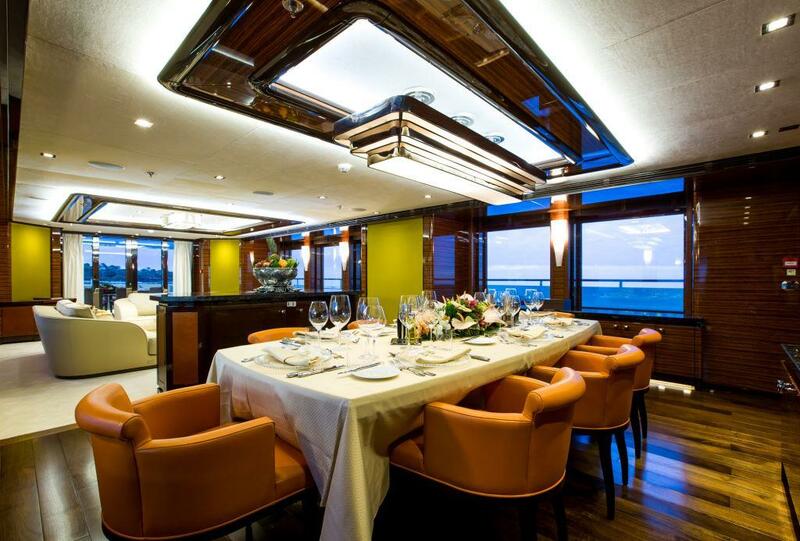 Her main salon is open plan, offering a spacious lounge aft and formal dining forward. 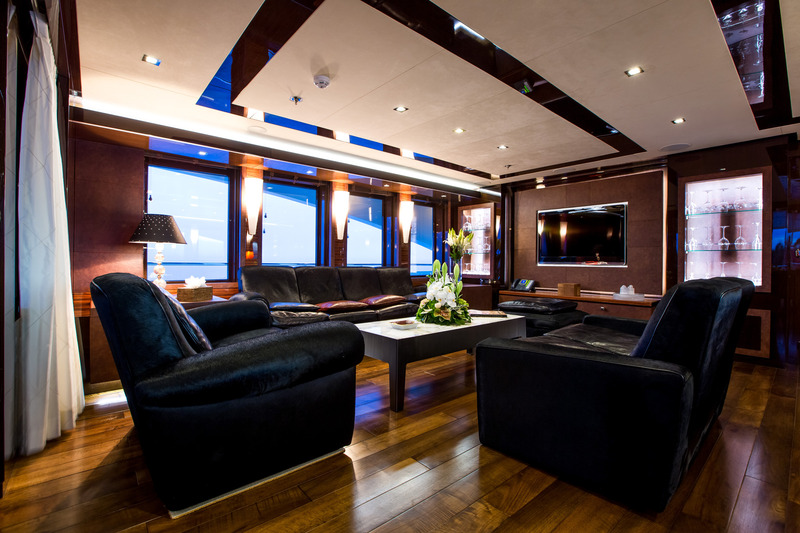 There is a sky lounge on the upper deck with another generous living area. 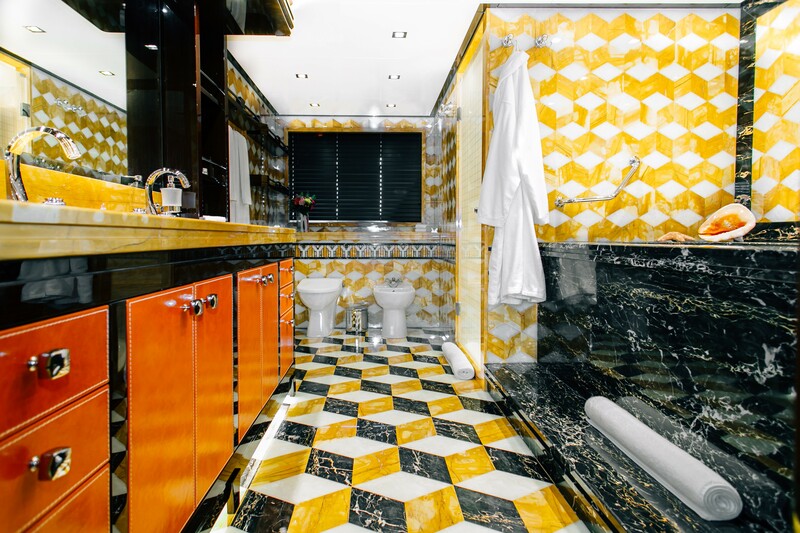 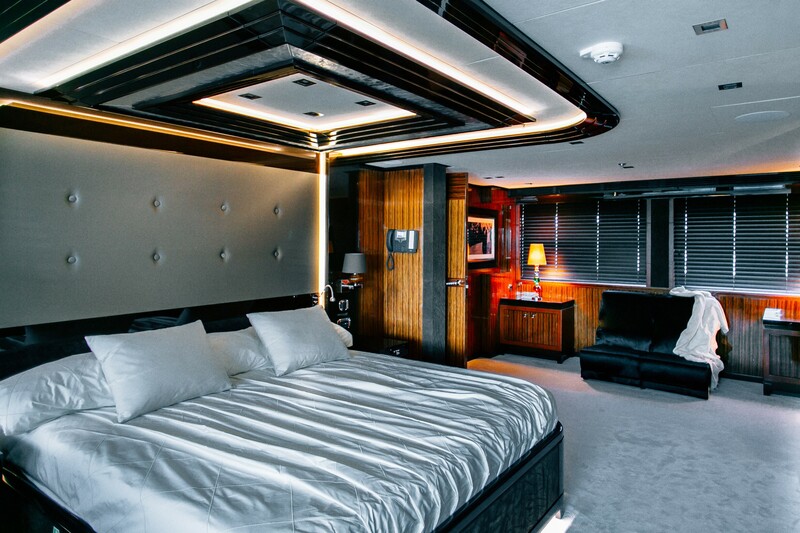 Accommodation is in five fabulous en-suite staterooms offers overnight comfort for ten guests in total. 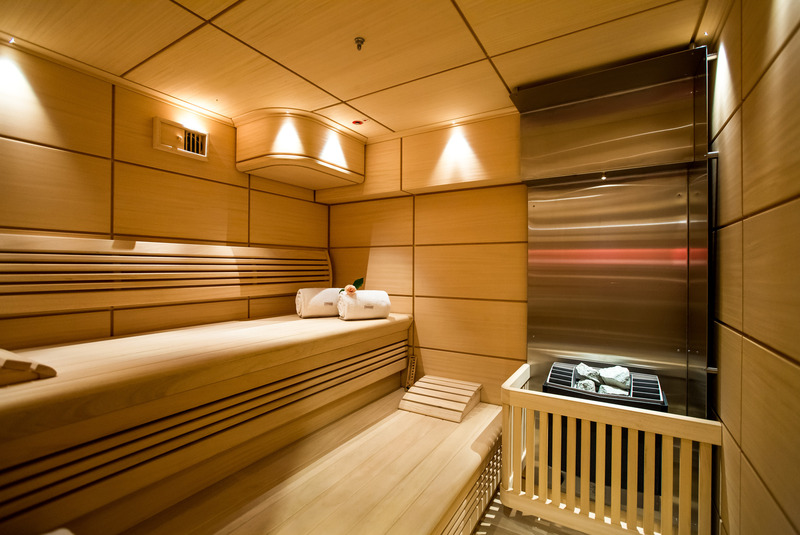 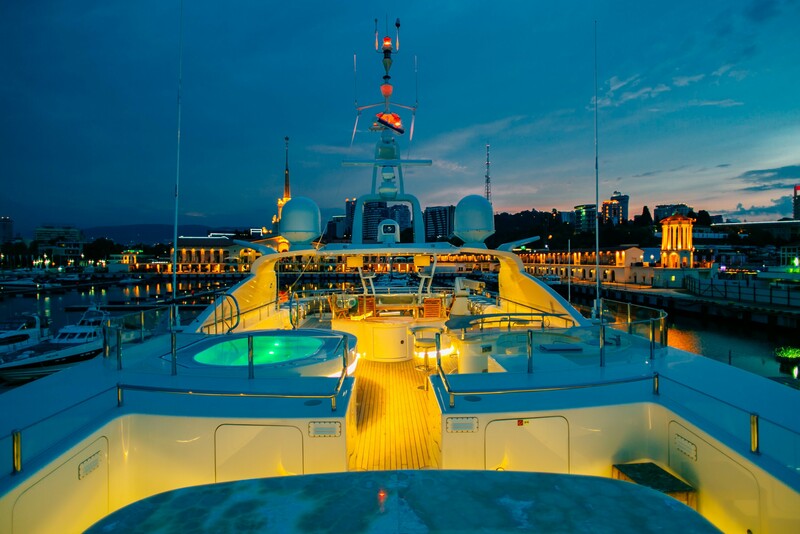 It includes three double staterooms and two twin staterooms. 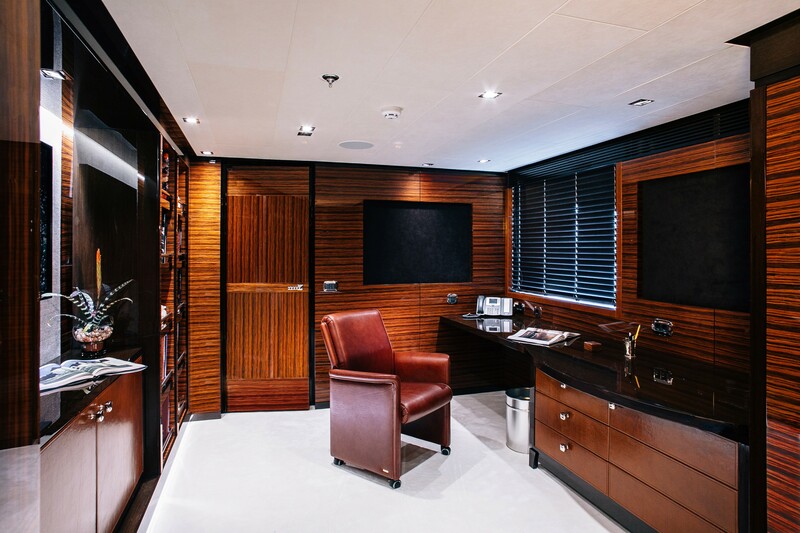 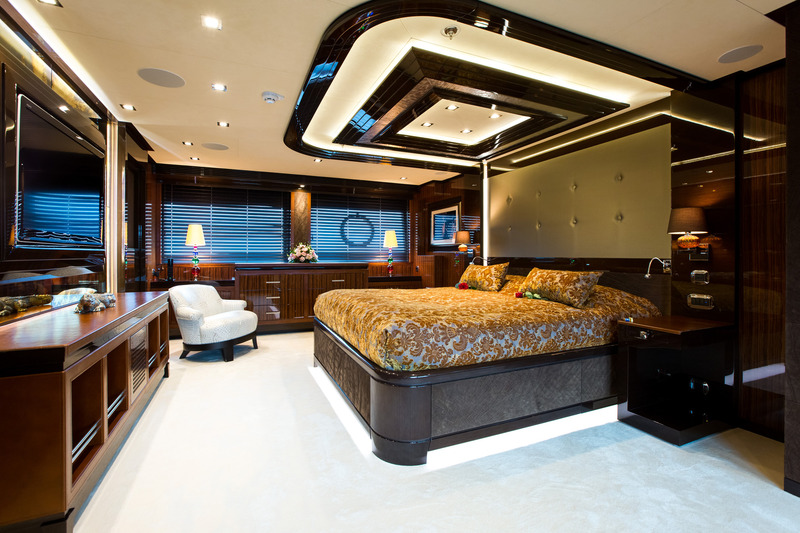 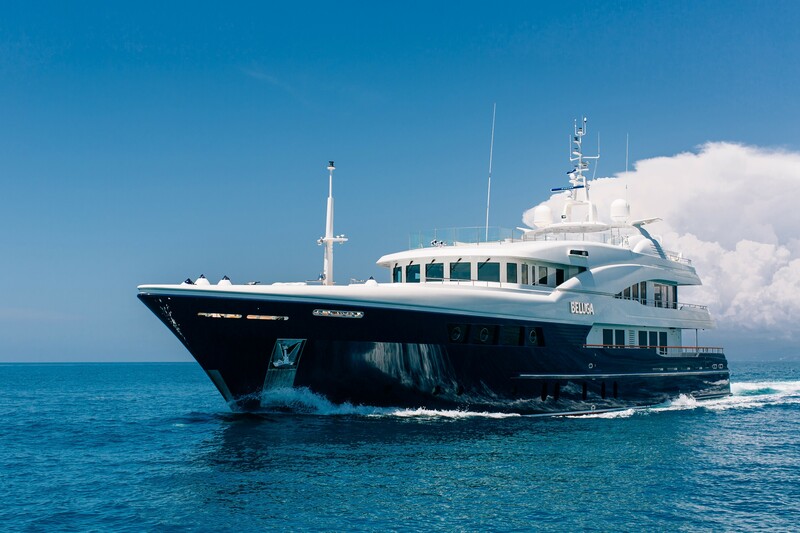 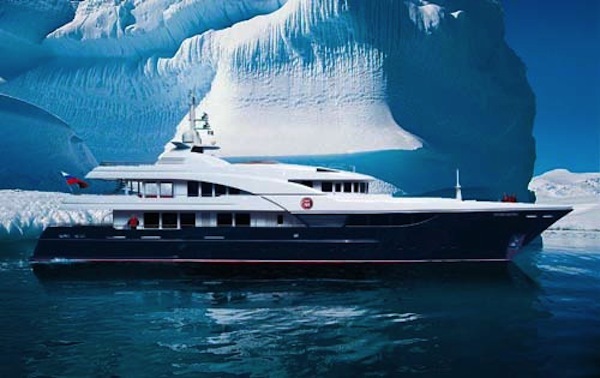 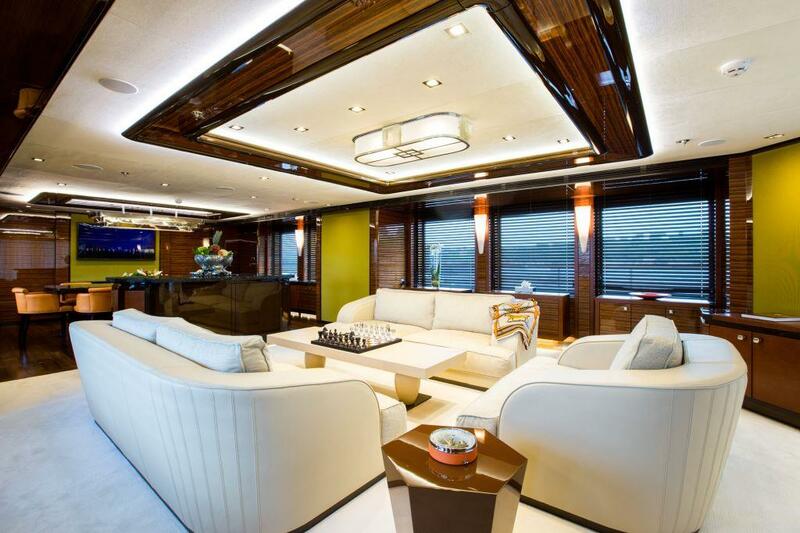 Laid over 3 levels, charter yacht AMADEUS impresses in terms of exterior living. 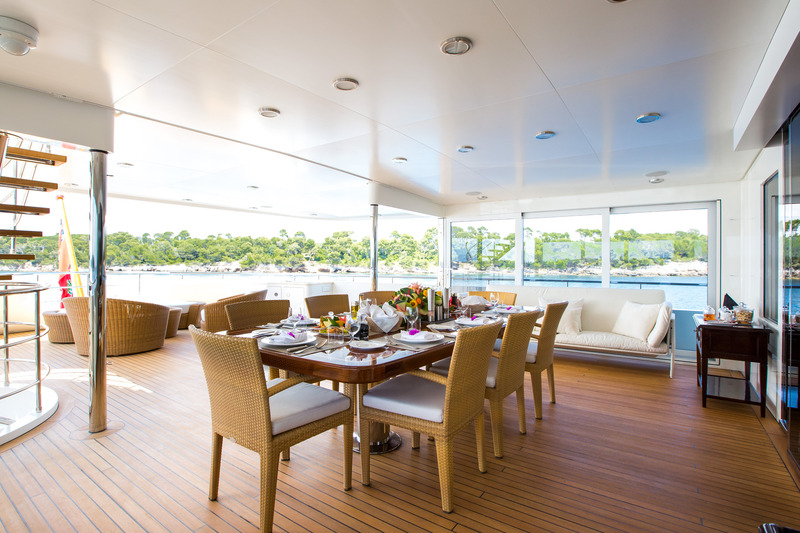 The main deck and upper bridge deck both offer alfresco dining and seating. 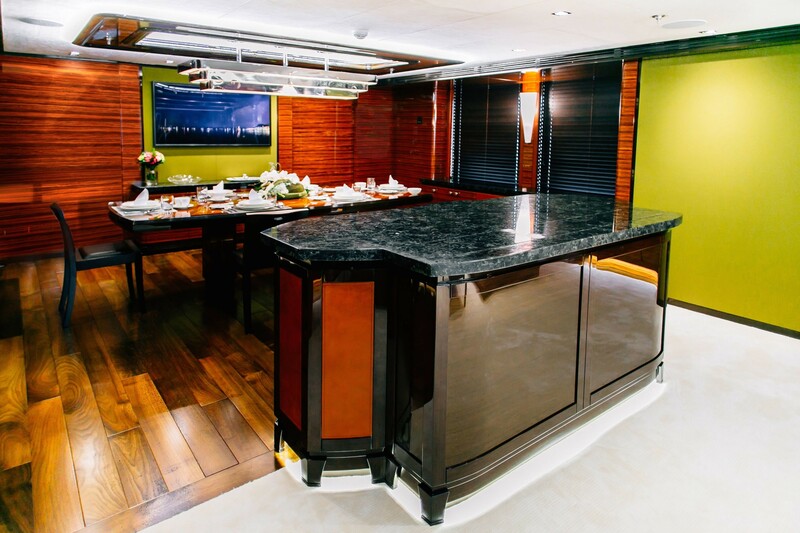 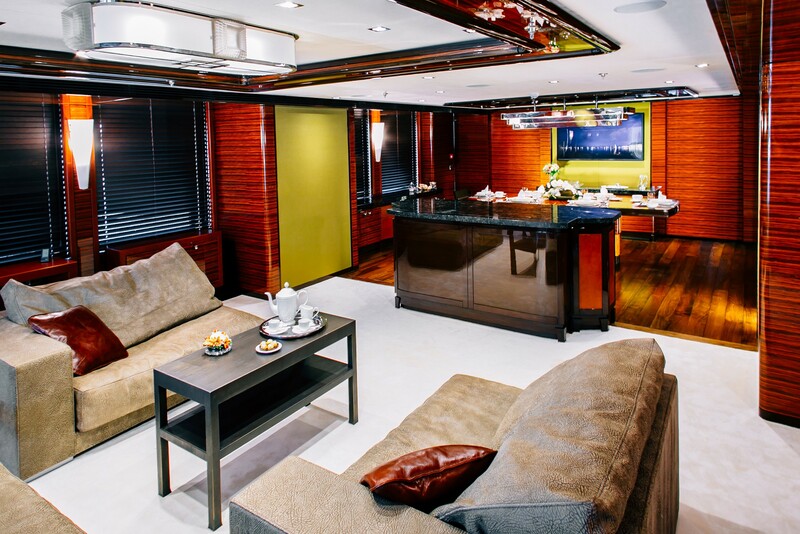 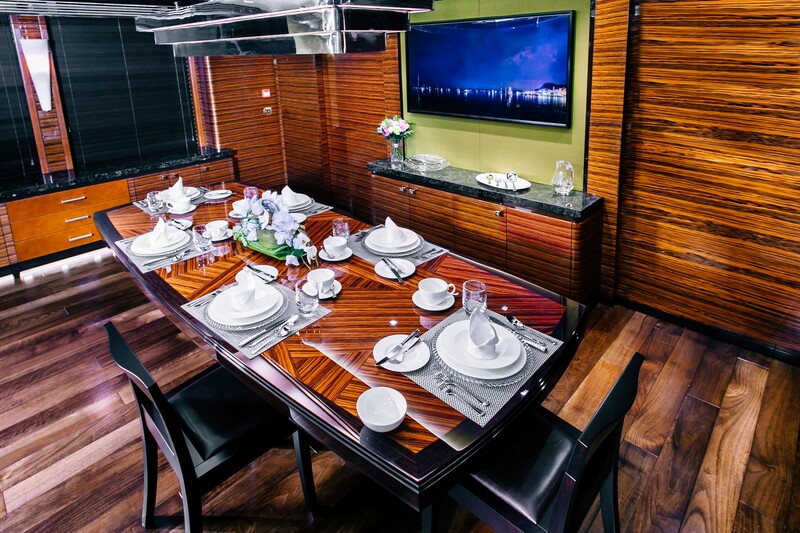 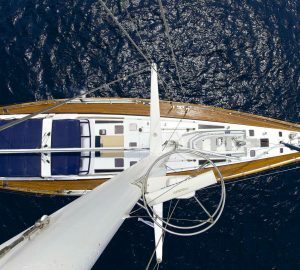 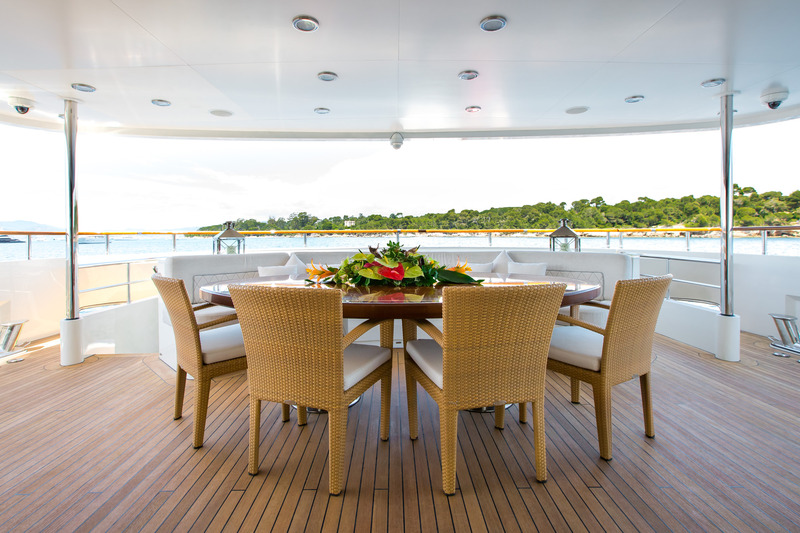 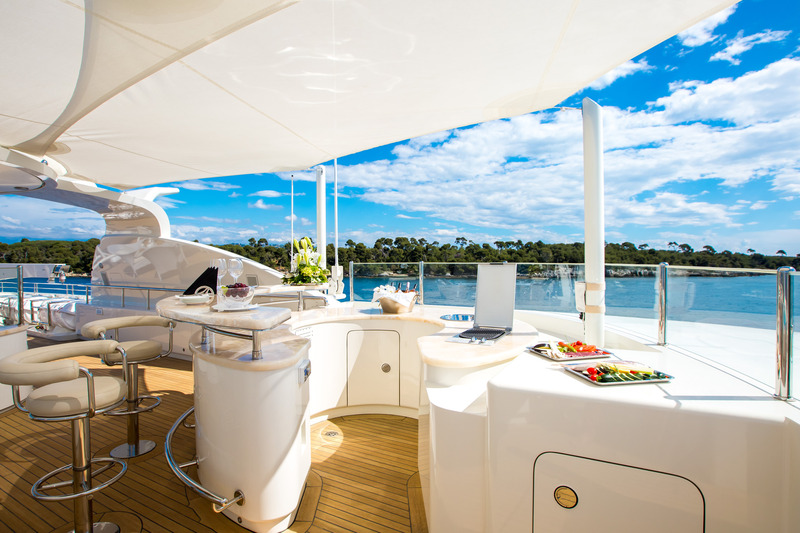 On the upper foredeck, 2 tables and seating face each other, making a wonderful cocktail setting. 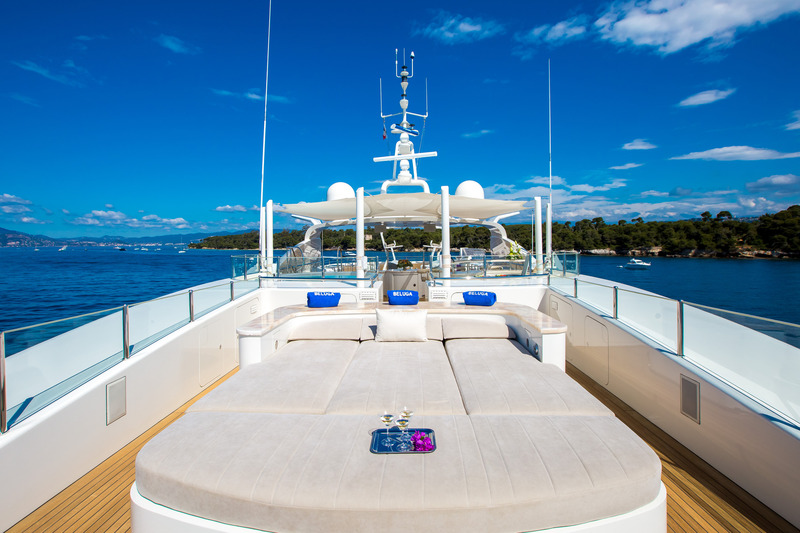 The sundeck is very well-appointed and has 2 large sun pad, Jacuzzi, wet bar and social seating area. 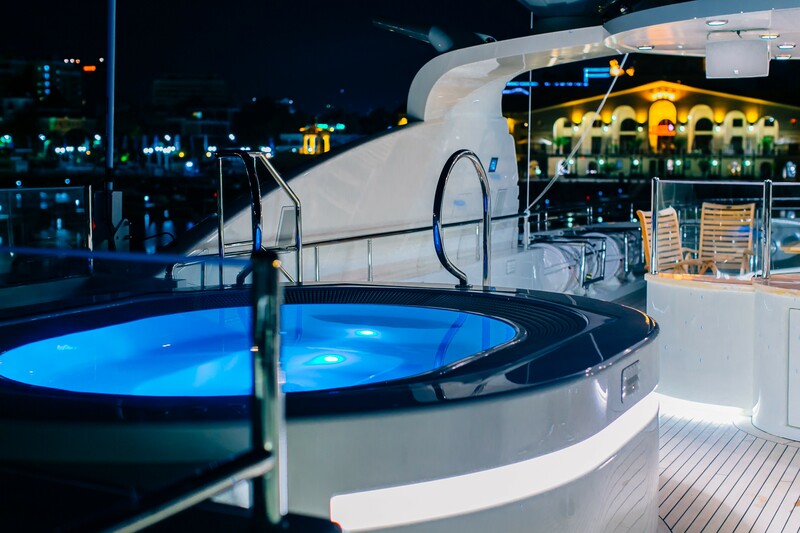 In addition to her indoor-outdoor socialising areas, she has a great selection of water toys for in-water entertainment. 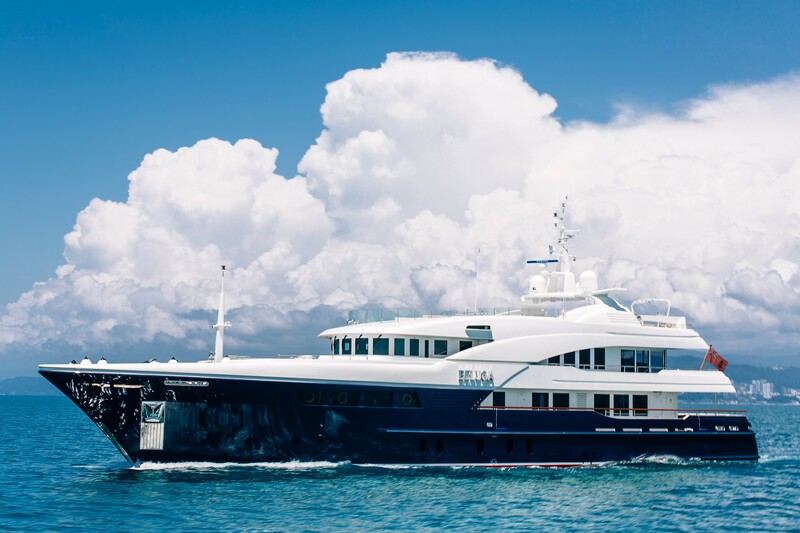 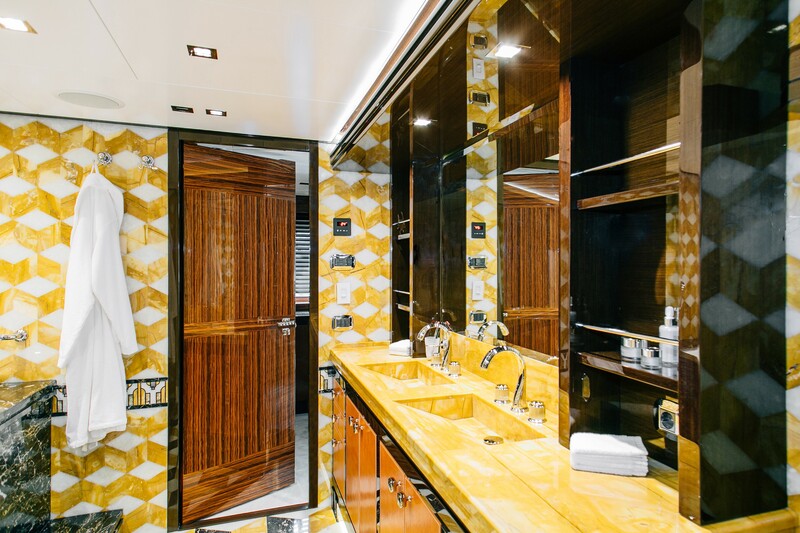 Luxury yacht AMADEUS is powered by two Caterpillar 3412E (1440 HP) engines to a maximum speed of 13,5 knots and can cruise at 11 knots with a range of 4000 nautical miles. 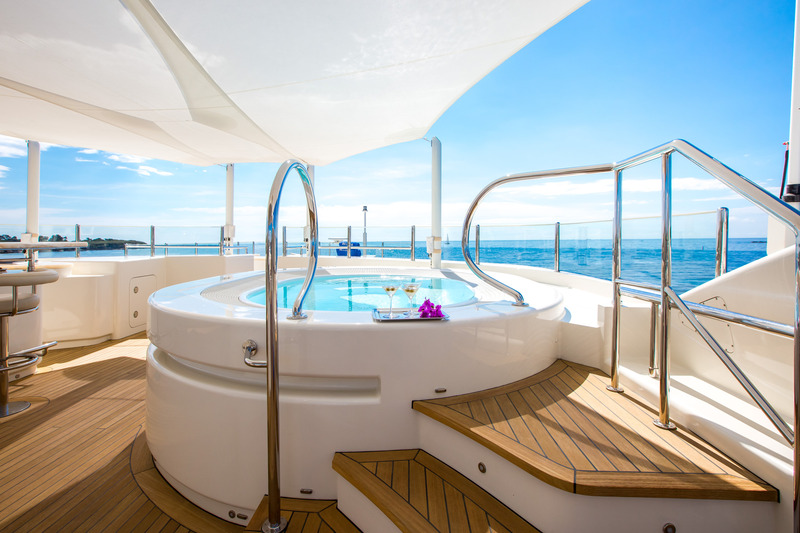 Accommodation aboard AMADEUS superyacht is divided into five ultra-luxurious staterooms, which includes three doubles and two twins. 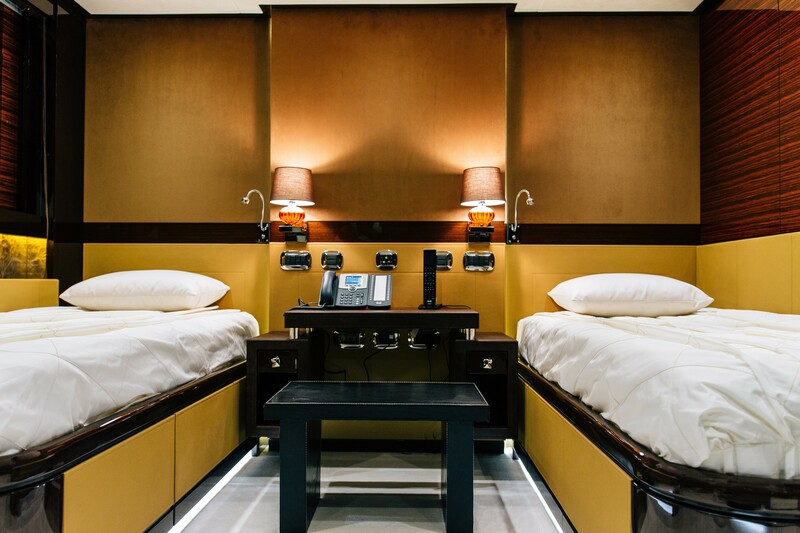 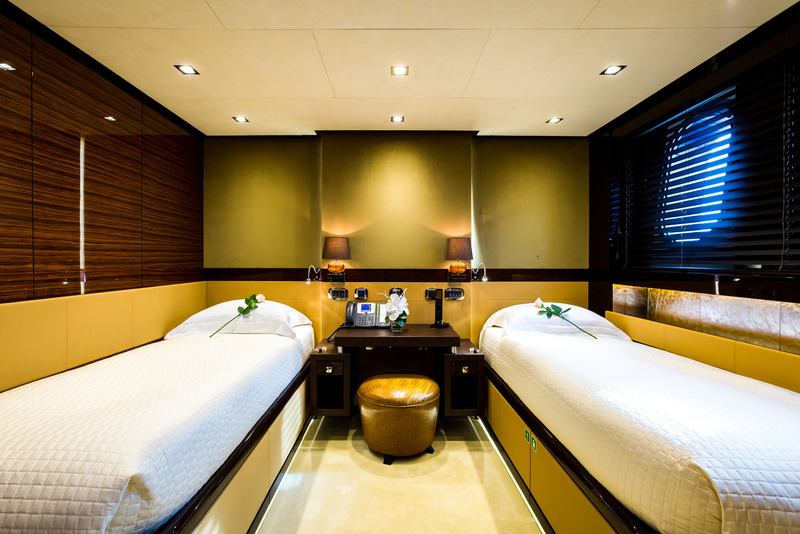 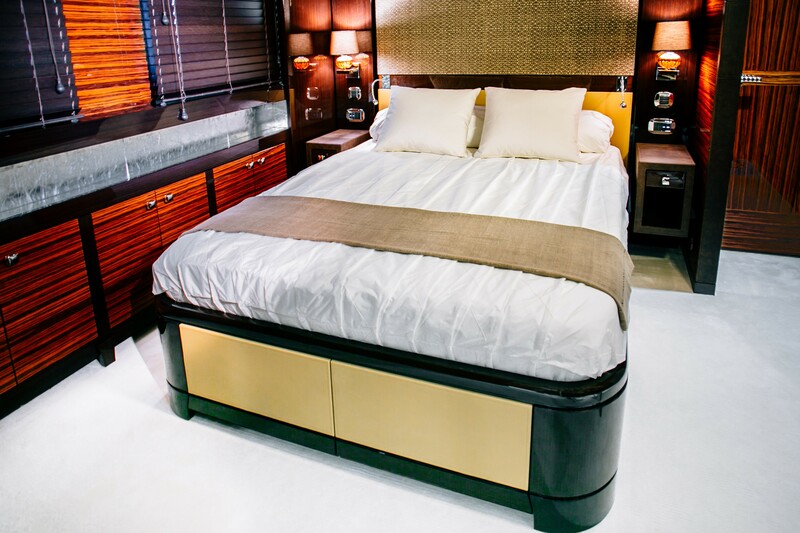 All staterooms feature en-suite facilities and the finest of amenities, linen and furnishing.